The Massive Annapurna Himalayan Range. 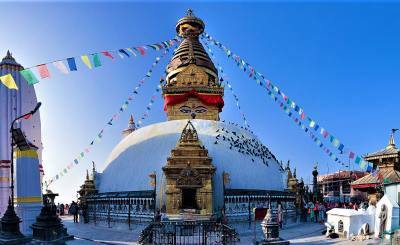 In the landlocked country situated between two giant neighbors of India to the south and China in the north is the nation of Nepal. 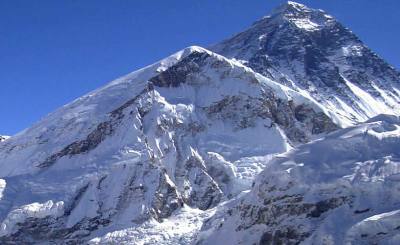 In Nepal, the entire northern border with China is made up of the tallest mountain range on earth. 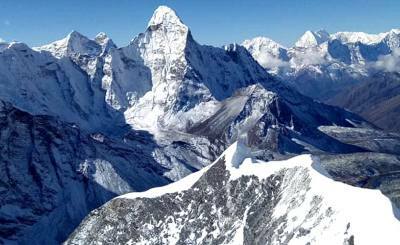 Most people are at least familiar with the highest peak in the world, Mt Everest ( 8,848M) as being the premier mountain in this range. However, there are other gems in this royal crown of mountains. 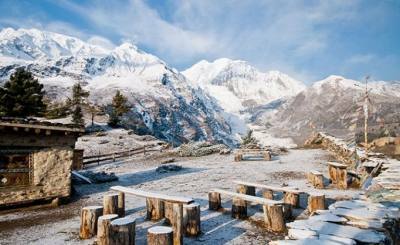 In the central region is the Annapurna Massif with its highest point at 8,091 meters. These beautiful and stunning mountains are laced with trails allowing access to experience this incredible landscape. And to reach into the heart of the Annapurna region the Annapurna Base Camp Trek is a premier trek allowing the adventurer to penetrate deep into the core of this massive Annapurna Range in Nepalese Himalaya. 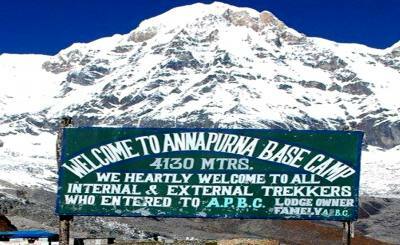 The Annapurna Base Camp Trek has many attractions, and has been loved by thousands of trekkers over the years and is a popular choice not only because it grants access to some of the most unique mountain ecology in the world, but it also is a less rigorous choice for trekking. Because of the topography, as one would imagine, most of the trails in the Himalaya can be strenuous. 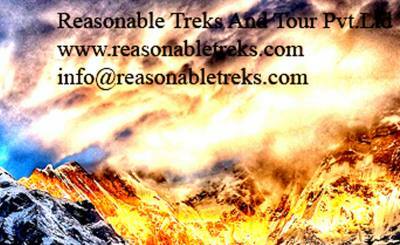 Why choose the Annapurna Base Camp Trek? Because it contains all of the incredible mountain scenery with less of the demands of some of the other trails. This is not to say it is altogether easy, however, it’s a very nice alternative for those who might need the throttle pulled back a bit in terms of intensity. Another defining feature of the Annapurna Base Camp Trek is that it allows the traveler to access the Annapurna Sanctuary. This is a special ecosystem specifically because the mountains of the Annapurna Massif form a circular amphitheater allowing only one route for the Annapurna Base Camp Trek to access the sanctuary. One side is filled with verdant sub-tropical jungle changing into a high alpine environment, the other lies in stark contrast reminding visitors of the high, dry Tibetan Plateau because of the rain shadow effect from the mountains. As if the magnificence of the natural environment wasn’t enough to entice the intrepid traveler to hike such a unique trail, the area is rich with abundant culture that is distinct to the region. 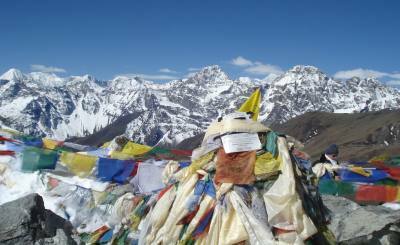 This trek highlights the specific culture and religion endemic to the Annapurna Base Camp Trek. 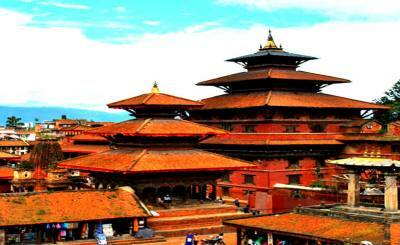 Cultural particulars include the Hill Gurung villages and people of this special place. The best times to visit all this amazing cultural, religious and natural splendor is during the high seasons of Fall (September-November), or Spring (March-May). The fall is the post-monsoon season with incredibly clear skies, warm days, but cold nights. Spring follows with warming days, and blooming rhododendron lining many parts of the trek. Due to the diverse geography and landscape, and the logistics for this region, finding a reputable trekking company is a good decision. But how do you find a local company that’s best in Nepal? It’s important to do your due diligence in this matter, and look for accredited companies with years of service “under their belts” will go a long way. If the price seems to go to be true, it probably is. Many who offer rock-bottom pricing due so because they skimp on service, or gear provided. 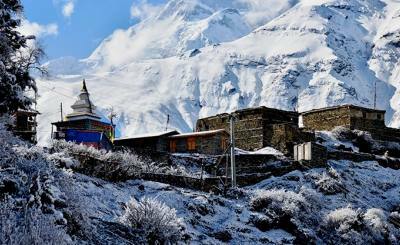 The Annapurna Region of the Himalayan Range is an exceptional place in the world, and the Annapurna Base Camp Trek is a fantastic way to enjoy all the splendor of this unique environment. 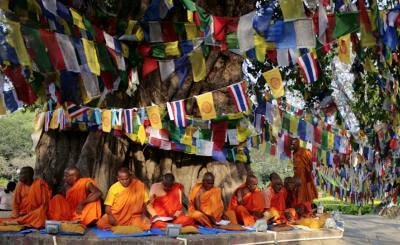 From culture to natural wonders, this trek has it all.